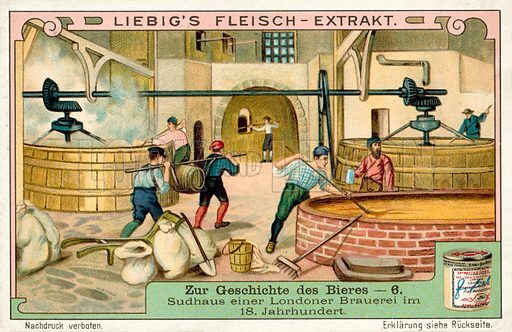 This fascinating and accurate picture perhaps shows the beginnings of the British steel industry. 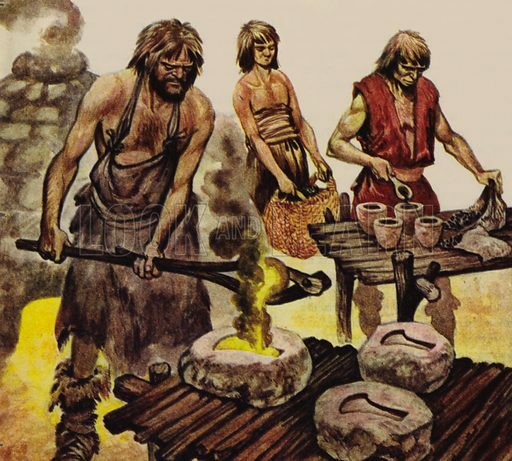 Here we see Iron Age workers in action, with a well-built furnace in the background and carefully crafted moulds for axe-heads on the bench, carefully being filled with the molten metal. 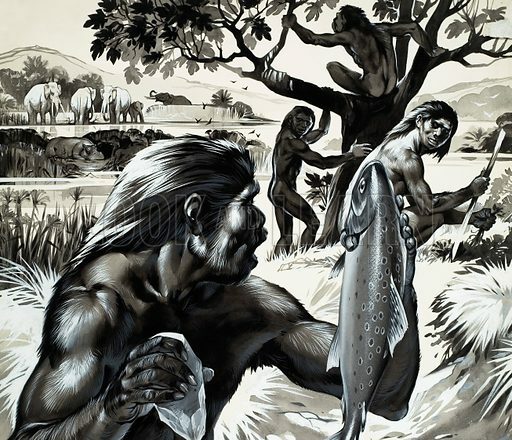 Many more pictures of prehistoric times can be found at the Look and Learn picture library. 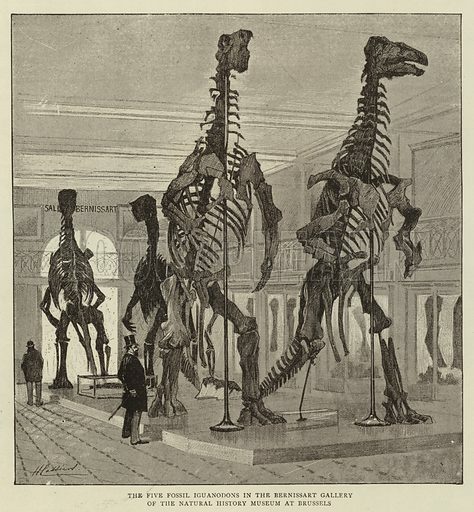 The first picture shows five fossil Iguanodons. 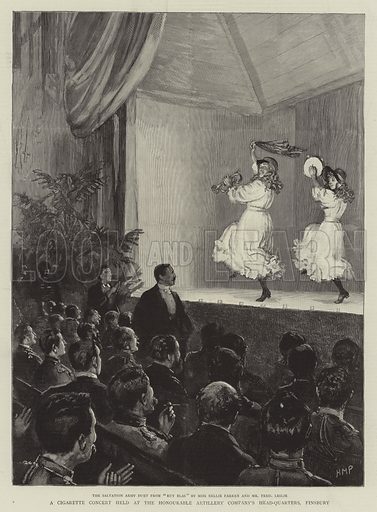 The second picture shows a concert for the Honourable Artillery Company. The third picture shows brigands lying in wait for a nonchalant gent on the pathway. The best pictures of Neanderthal man are striking images of the partially ape-like homo erectus. 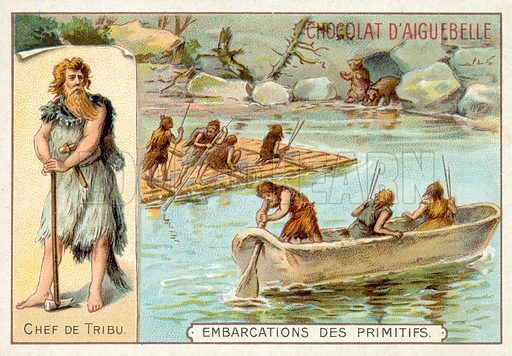 The first picture shows a community of Neanderthals. 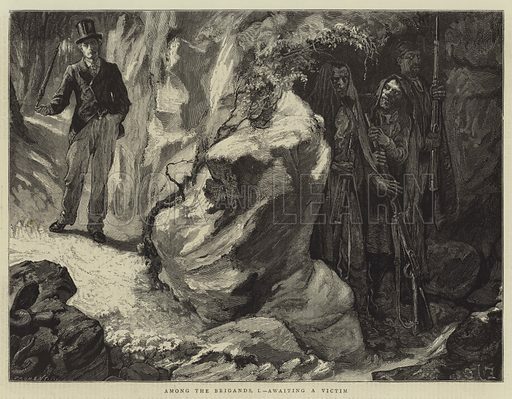 The second picture shows Neanderthal hunters. 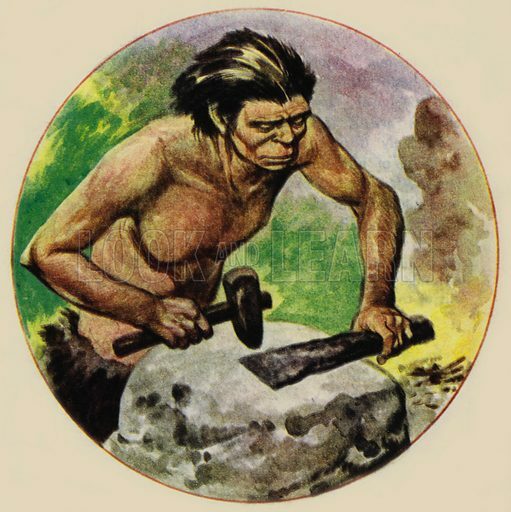 The third picture shows a Neanderthal toolmaker. 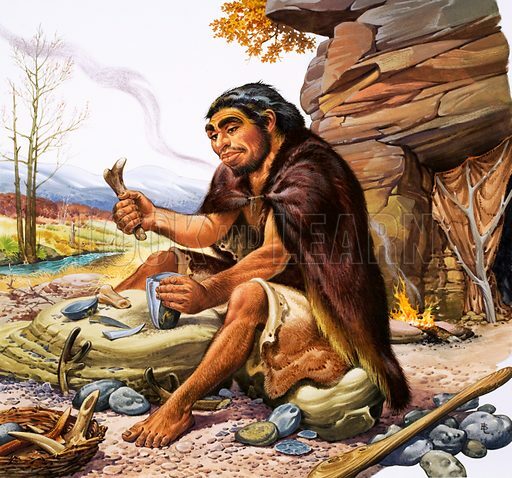 Many more pictures of prehistoric man can be found at the Look and Learn picture library. The best pictures of Prehistoric artefacts are vivid images of flints and early metal ornament, tools and weapons. 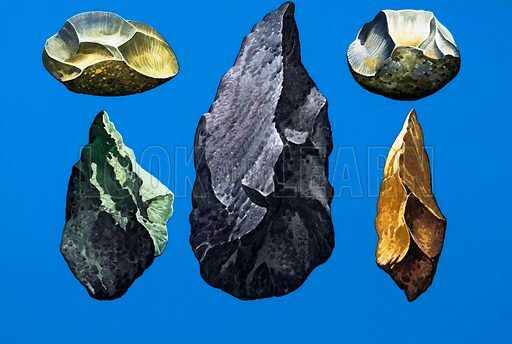 The first picture shows tools of the Stone Age. 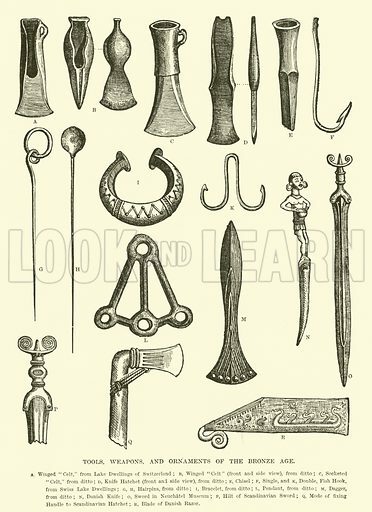 The second picture shows artefacts of the Bronze Age. 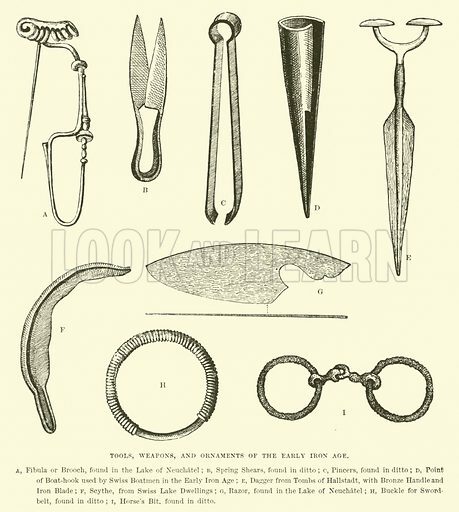 The third picture shows artefacts of the Iron Age. 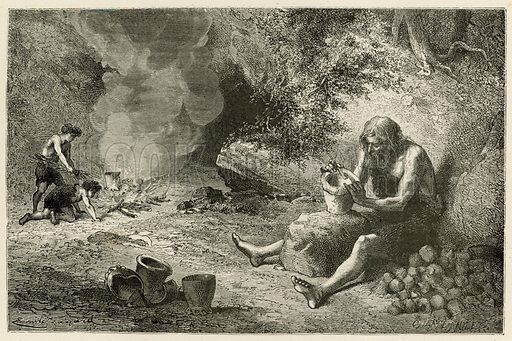 The best pictures of toolmakers in the Stone Age are vivid images of Paleolithic craftsmen. The first picture shows a craftsman. The second picture shows a weapon maker. 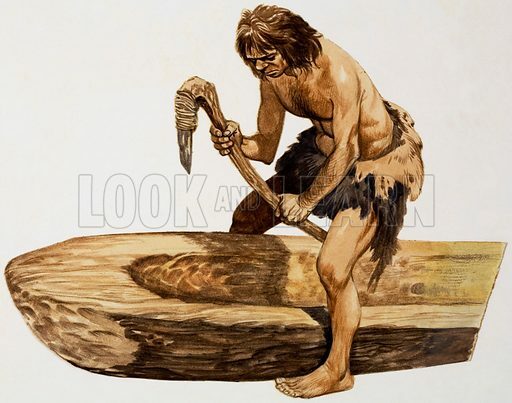 The third picture shows a canoe maker using his primitive adze. 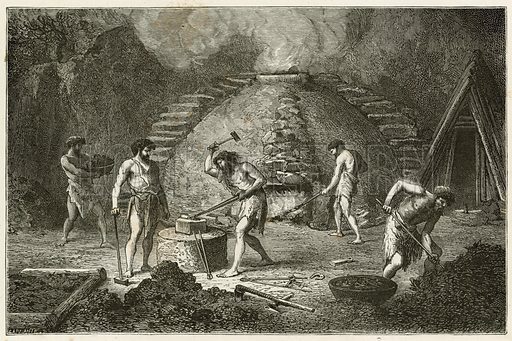 The best pictures of the Iron Age are images of the first known metal workers before the great Age of Civilisations. The first picture shows a furnace and sound working methods. The second picture shows an iron-age furnace. 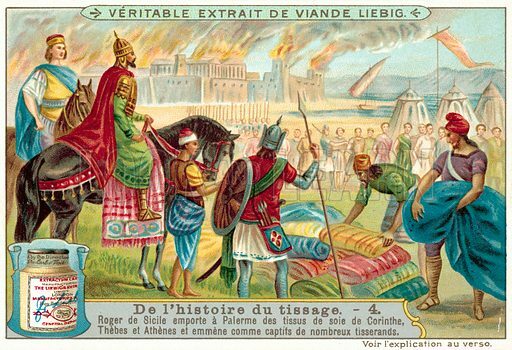 The third picture shows an iron-age man at his anvil. The best pictures of pottery in the New Stone Age are images of potters and historic artefacts. 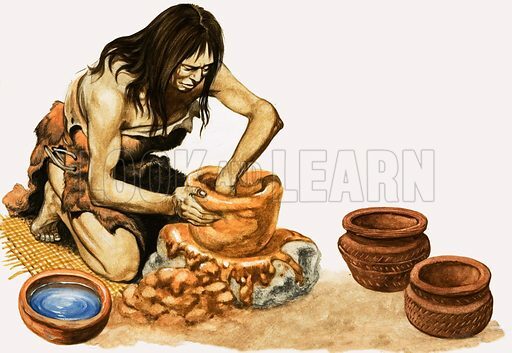 The first picture is of a New Stone Age potter. 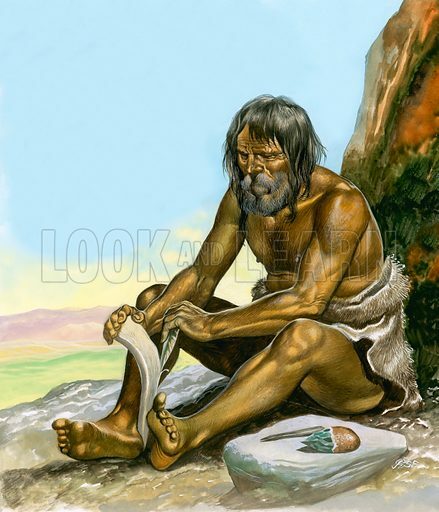 The second picture is another potter in the Neolithic Era. 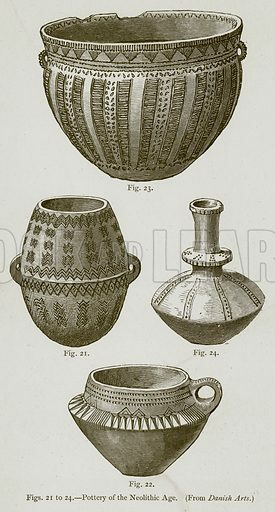 The third picture shows pottery of the Neolithic Age. Many more pictures of the prehistoric world can be found at the Look and Learn picture library. 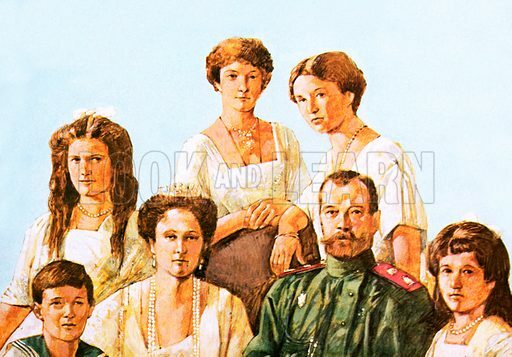 The best pictures of the final days of the Romanovs during the Russian Revolution are images of this doomed royal family as well as its dynasty. The first picture shows the royal family after their arrest. 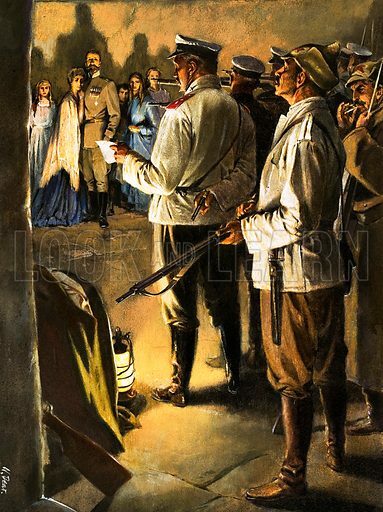 The second picture shows the murder of the Russian royal family. Anastasia, the youngest daughter of Czar Nicholas II, believed by some to have escaped from the murder scene. 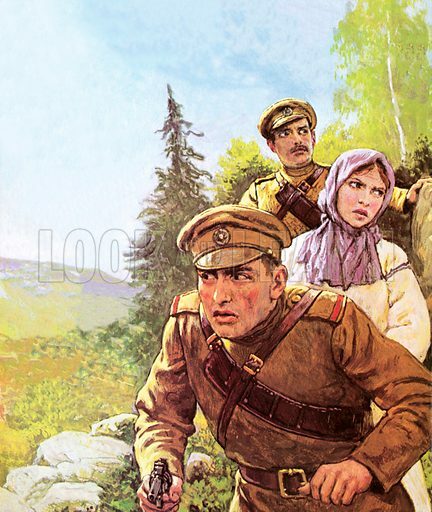 Many more pictures of the Russian Revolution can be found at the Look and Learn picture library. The best pictures of Stone Age hunters are vivid pictures of human bravery, ingenuity and cruel necessity. 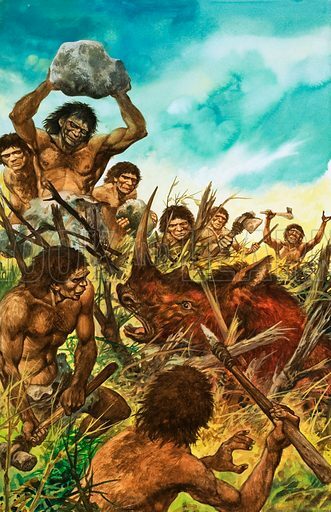 The first picture of Stone Age hunters shows a gang of early men cornering an early rhinoceros, as one man lifts a large rock to dash the animal’s brains out. 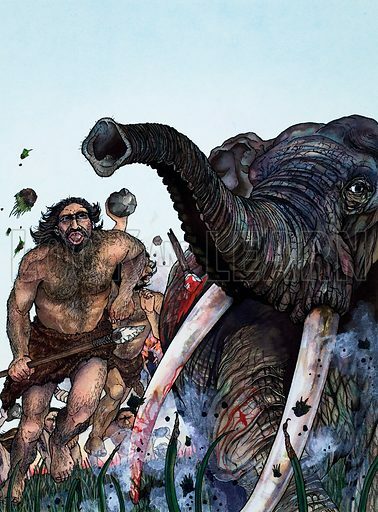 The second picture of early hunters shows them attacking an elephant. 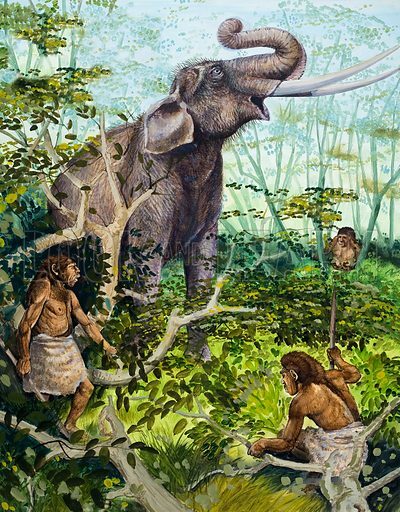 The third picture shows Stone Age hunters pursuing a wounded elephant. 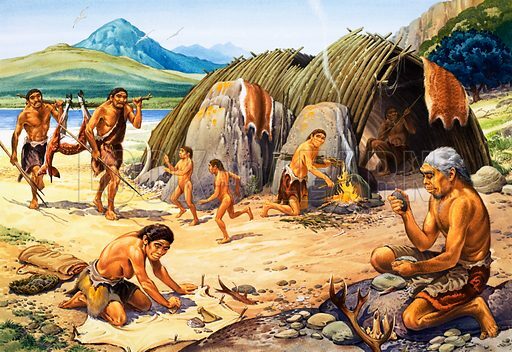 Many more pictures of the Stone Age can be found at the Look and Learn picture library.